New! Come to our Center of the Americas to gain a deeper understanding of RF and Ultrasonic Technology, in our training /showroom facility in Jacksonville Florida. Call to book your desired dates today. 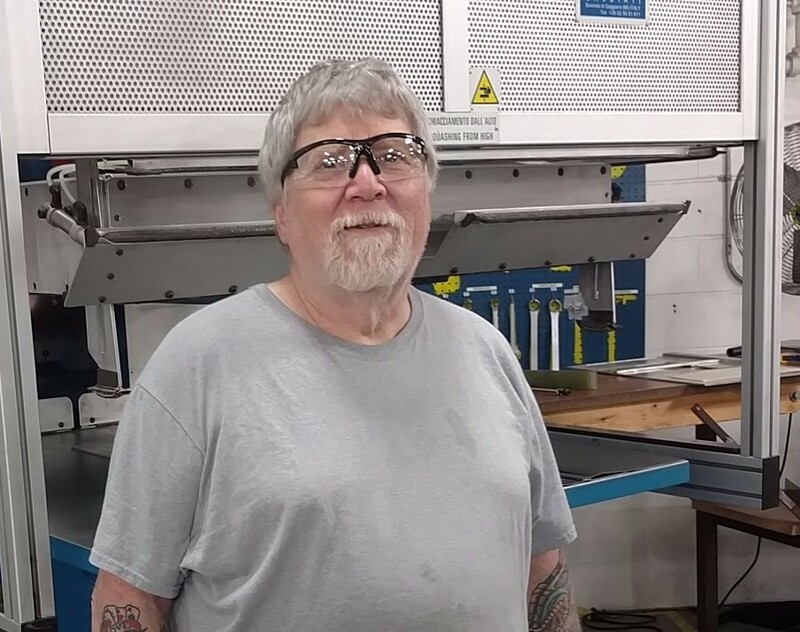 JTE’s Center of the Americas is the premier Industrial Fabricator’s training center offering year-round programs for operators, maintenance personnel, and manufacturing personnel interested in learning about High Frequency (RF) and Ultrasonic technology as it relates to plastic material welding and cutting. Material handling and applications specific processes are also part of our core training programs. Our engineering team has over 50 years of experience for the Industrial Fabrics, Office Products, and Medical industry applications. 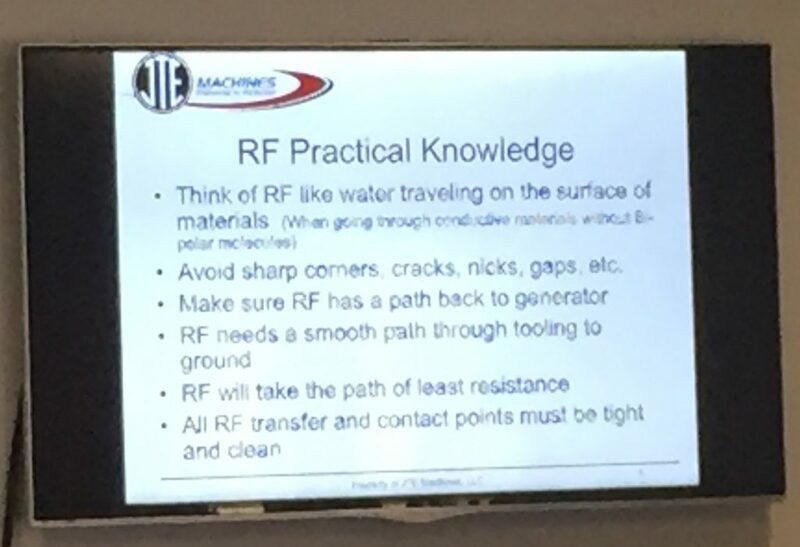 Your team will learn about how RF works, operator and machine safety, Dos & Don’ts, maintenance tips and trips, how to set up tooling, how to optimize welds, and the best processes and techniques for their specific applications. With every installation, JTE offers the industry’s best in on-site training for your new and used RF machines, ultrasonic solutions, or custom automation machines. With over 30 years of experience, we provide safety and maintenance knowledge, in addition to tips and tricks for achieving the perfect weld on all of the fabrics available to the trainer at that time. As most of our solutions include touch screen recipe saving features, the JTE technician will ensure that setups are optimized and saved, ready for production before leaving your facility! Our on-site training session is usually 1.5 days (time permitting) and we will train up to four operators at once. To make the most of the on-site training session, please have all types of materials, pre-cut ready to fabricate prior to the technician’s arrival. JTE offers follow-up on-site training for your new operators, maintenance personnel, or other members of your operations team. This type of training can be tailored to your specific needs and ranges from basic understanding to machine optimization. With over 400 installations worldwide, JTE has one of the widest ranges of applications experience in the industry. 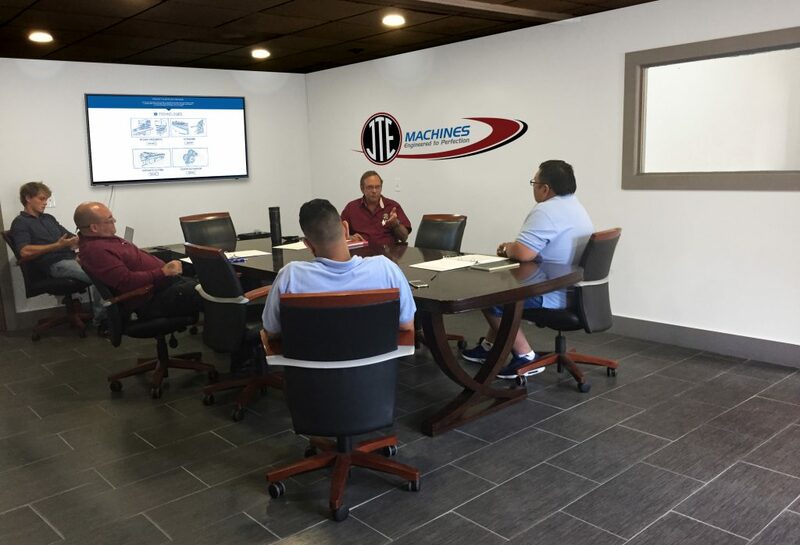 From medical bags to large air supported structures, the engineers at JTE have the hands-on and product knowledge that will enable us to become your production partner. Throughout the year, we offer applications specific workshops that will enable your team to learn specifics about process, performance, and optimization.